Iron deficiency is when the body does not have enough iron in the body. This leads to a low level of red blood cells in the system. Iron is a major contributor in making haemoglobin – helps carry oxygen to all parts of the body. 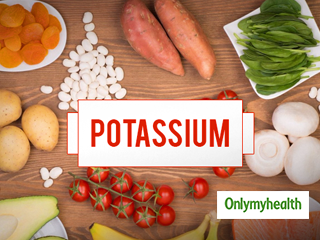 When there is a deficiency of haemoglobin in your system, this leads to the development of a problem called anaemia. Iron- deficiency anaemia is a common problem globally affecting millions of people. The deficiency of iron in the system is thought to be associated with the problem of restless legs as well. 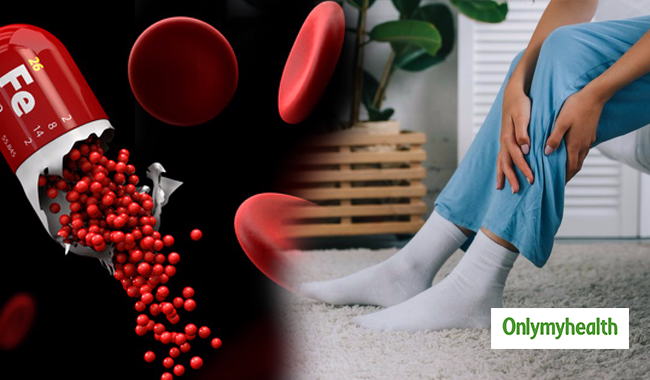 Iron deficiency also causes a dip in the levels of dopamine (a chemical responsible for movement and thought process), both of which contribute to the problem of restless legs. Restless legs syndrome is an involuntary urge to move your legs continuously. It is a disorder of the part of the nervous system; it can interfere with your sleep and also cause itchy sensations in your feet and legs. A low level of iron in the body makes the blood lose its natural red colour, leading to a pale colouring of the inside of the lower eyelids. The paleness can also be seen on the whole body. 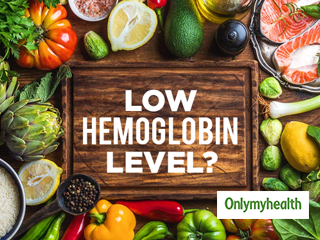 The lack of haemoglobin in the body due to iron deficiency leads to a low level of oxygen. This means that your muscles won’t get enough oxygen to perform activities such as walking and climbing the stairs, leading to shortness of breath. These are not common symptoms but iron deficiency can cause headaches and dizziness. When there is not enough oxygen in your body, it can lead to swelling in your brain causing a headache and dizziness. When the skin is deprived of the oxygen, it tends to become dry and weak leading to hair loss, dry hair and flaky skin. If you lose a few strands of hair while washing or brushing, this is nothing to0 be scared of but if you start losing clumps, then this is probably because you suffer from iron deficiency. Iron is an essential nutrient for healthy nails and its deficiency may lead to brittle nails that chip and crack easily. 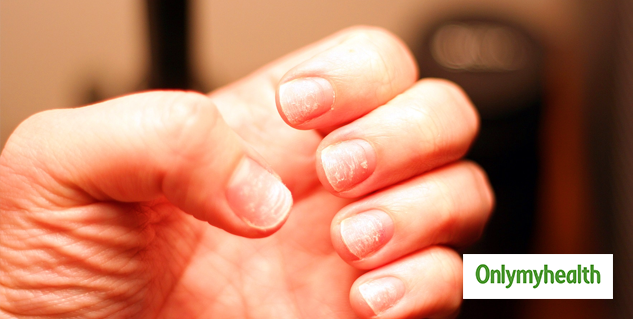 This condition is known as koilonychia. It is marked by the abnormality of the fingernail shape with raised edges and inward curve.